I enjoy working with players who are serious about improving their games. Lessons are given at Amsterdam Billiards in New York City, which is located on the corner of 4th Ave. and 11th St. near Union Square. Instruction is tailored to your game, your particular needs, and your goals. Lessons draw on the material in my books, and I also incorporate as yet unpublishhed discoveries that have resulted from an intensive five year research project. My revolutionary new concepts can help take your game to a level you may have not dreamed was possible. Areas that you may find of special interest include: your overall shooting routine, aiming, speed of stroke, stroking smoothly and authoritatively, position play, tension reduction, and the mental game. I remember waiting in line to cash a check at the student union at U.C. Berkeley when my gaze shifted to the double glass doors to the campus pool room. I suddenly felt the urge to go check out the happenings and, within moments, I was banging balls around the table like any neophyte. Little did I know, but I was about to embark on a journey that has now lasted over 40 years and counting. Like most beginners, I was lucky to make a ball that first time out, so help was needed if I was going to really "get into" the sport. So, in a trip to the campus bookstore I discovered a copy of Willie Mosconi on Pocket Billiards. What a great roll! My game improved dramatically after reading his advice on the fundamentals – and the experience proved to me that a little knowledge can take you quite a ways. I continue to learn new things every day about this endlessly fascinating and challenging sport from teaching and watching others play. I look forward to sharing my findings with you in the months and years ahead, and I hope that they help you to enjoy pool more than ever before. My journey in pool is probably not so unlike yours, which is why I feel a common bond with all of my fellow pool enthusiasts. I've experienced dead stroke and I've also dogged my share of shots. And I've worked like a slave to build my game – during my first three years, I practiced 7 days a week for several hours a day. I've enjoyed the camaraderie of my teammates in league pool. My biggest win in tournament play was $1,200 for first place in a field of 60 of Southern California's best players in the mid 1980s. I won seven straight matches (races to 4) of 8-ball. And yes, I have placed more than a few wagers at 9-ball, and I have a real fondness for 14.1, which I used to practice for hours on end. And I'm completely fascinated by the incredible complexity of 8-ball. I graduated from Berkeley in 1970 with a degree in Business Administration (and an unofficial minor in pool). I spent about 15 years in the financial services industry where I edited a newsletter on the stock market, and worked as a stockbroker and a financial analyst. For nearly 3 years, I was the financial columnist for the Orange County Business Journal and, in 1992, wrote my first book, Investing in Growth (Probus Publishing). My personal interests include golf, sports, reading about sports and business, long conversations with good friends about almost anything, movies (I really like 1940's detective movies in black and white), serialized TV shows (The Good Wife is my current favorite), music (my CD collection is out of control), and surfing the net. Phil Capelle founded Billiards Press in 1995 with the goal of producing the finest instructional books on pool. Six months after Play Your Best Pool was published in December, 1995, Billiards Digest named it as one of the top three instructional books on pool ever published. The National Billiard News wrote that the book "Tops all previous ‘how-to' books." Phil Capelle's second book on pool, A Mind For Pool, was published in May, 1999. The book is the most thorough book ever written on the mental side of pool. In November, 2000, l Play Your Best Straight Pool was next and in October, 2001 Play Your Best Nine Ball rolled off the press. They have each earned excellent reviews from the major pool publications and champion players. Capelle on Nine Ball: Archer Versus Reyes, a book and DVD combo, was published in October of 2002. A collaboration with Mike Massey came next – appropriately titled Mike Massey’s World of Trick Shots, was in published in 2003, followed by Play Your Best Eight Ball in 2004. The 10th Anniversary Edition of Play Your Best Pool debuted in 2005, and Capelle’s Practicing Pool, a spiral bound guide to developing your game. Capelle’s latest book on pool and DVD combo, Break Shot Patterns for straight pool, was published in 2011. He then edited and published Andy Segal's Cue Magic, which came out in November 2013. Play Your Best 9 & 10 Ball was published in late 2015. This spiral bound edition replaced Play Your Best Nine Ball. Finally, Six Words to Pool Greatness was published in the spring of 2016. Capelle continues to work on several projects and looks forward to their publication in the not to distant future. 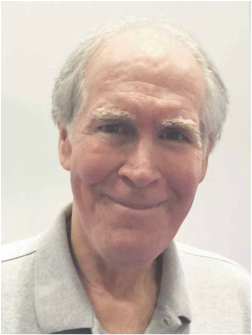 Phil Capelle's instructional column, Play Your Best Pool, has appeared in every issue of Pool & Billiard Magazine since May, 1996, and his 268th consecutive column appeared in the September 2018 issue of the magazine. Billiards Press has been very active in the billiard community. Our activities include: acting as a sponsor for several regional tours, donating books to tournaments, attending trade shows, book signings at the Super Billiards EXPO, advising various members of the billiards community, covering pro events on Facebook, and working to promote pool in a variety of ways. Writing books and producing a web site requires the help of a number of talented people. Janet Tedesco is responsible for the diagrams on the web site. She has also diagrammed, laid out, and produced the cover art for my last five books. I have been fortunate to work closely with Melinda Bailey, who is the primary designer of the site. In addition, Mike Howerton has been instrumental in producing the web site. Paul Gray provides advice on marketing and other business related matters. In addition to the people mentioned above there are several more who have assisted me at various stages of my projects. Todd Fleitman, a top instructor, has made numerous suggestions for improving several of my books. Jonathan Meltzer has assisted with the editing on revisions to many of my titles. Finally, a special thank you goes to Chris Donnelly, who had over 30 years of experience in the printing industry, and who was very helpful in producing the books. Chris passed away in March of 2012. His lovely wife Shirley, who has always been very supportive of my work, also passed away in 2014. I miss them both tremendously. Phil Capelle is available for pool lessons . The lessons are given at Amsterdam Billiards in New York City. Please email for details at capellepublishing@gmail.com OR use the Contact section of this site. The fruits of my research come from analyzing top players, pros, amateurs of all levels, teaching, and from experimenting on the table. In addition new ideas jump up out of nowhere while I’m working on a particular topic. I watch DVDs, draw hundreds of diagrams, and analyze the game relentlessly in my effort to discover concepts that can help you with your game. Each of the concepts below are important for your game, but those in bold are particularly vital to your success and are, I feel, some of my groundbreaking contributions to the game. This list includes only those discoveries that appear in my books. I have dozens more that have resulted from a lengthy research project that began in early 2012, and that I am still working on. NOTE: I have read many of the popular books on pool and can safely say my ideas on the list below did not appear in those books. If any of the ideas below have been discovered previously, it was without my knowledge. I therefore apologize to any billiard writer or student of the game who feels they may have developed or discovered any of the ideas previously to it appearing in one of my books or articles.